More than any other group The Who is the public face of the original mod movement. Coming in to their own as a part of the British invasion of the mid-sixties they share a love of melodic pop music with their contempories such as The Beatles and The Kinks. At the same time they also incorporated blues into their amphetamine fueled R&B, though not to the extent that The Stones or The Yardbirds did. Their sound was bombastic from the very beginning. The punching power chords of Pete Townsend's guitar, backed by the crunchy basslines of John Entwistle became the trademarks of power pop. Propelled forward at a breakneck pace by Keith Moon's animal like drumming was one of rock music's most powerful and distinctive vocal talents, Roger Daltry. Four different parts that came together to make one incredible whole. 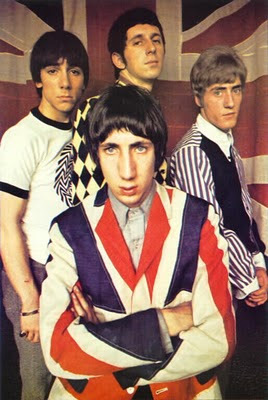 Thanks to having these four distinct voices at play, The Who did something unique in melding all of the different influences at play in the British invasion into a whole package and deliver it with both aggressive intensity, and youthful sensitivity. 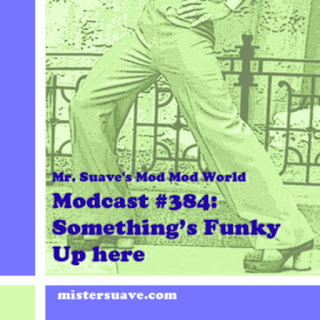 That package found a home with the nascent mod movement, which was more of a lifestyle than a style of music. The Who embraced that lifestyle of living life in the moment, along with its love of soul and blues, and incorporated those into their early recordings and stage shows. The made the Union Jack suitcoat a mod icon, along with the RAF target, two-tone arrows, and a penchant for overzealous stage antics that led to infamous moments of destruction. Backing up that bravado though was some of the best musicianship of the era. Their simplest songs were anthemic in nature like "My Generation" and "Anyhow, Anyway, Anywhere". As time moved on the band incorporated more blues and psychadelic influence into their ringing power pop, that wasn't the pure freakbeat sound of Small Faces or The Creation, but was definitely headed in that general direction like with "I Can See For Miles" and "Magic Bus". 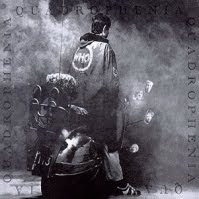 The band's greatest contribution to mod though has to be Townsend's rock opera Quadrophenia. It was set against a backdrop of the tumultous mid-sixties mod era with its drug use, teen angst, and violence. The album is one of the greatest concept pieces ever produced. Ultimately it led to the 1979 film version which helped to make the mod revival a reality and ushered in a whole new era of suit-clad, vespa riding, soul dancing, power pop lovers. Below is my favorite song from Quadrophenia, "Cut My Hair". And a more obscure song, a Quadrophene demo version of "Four Faces (aka Four Hang Ups)" that was cut from the original rock opera, but was recorded in 1979 for the soundtrack to the movie.